Elena Gorolová, a Roma social worker from the north Moravian city of Ostrava, has been included on an annual BBC list of 100 inspirational and influential women for 2018. The BBC highlighted Ms Gorolová’s campaign against forced sterilisation as well as her work to return institutionalised children to their birth families. Although there are no official figures, it is estimated that there were thousands of women in the Czech Republic and formerly communist Czechoslovakia who were sterilised against their will or without proper consent between the years 1979 and 2001. The victims were predominantly members of the Roma minority, but also women who were mentally ill or who were in institutions. “There were difficult moments, including problems with my husband, who would, from time to time, suspect me of having undergone the sterilisation of my own free will. Within the Roma community, not being able to have children is regarded as a disgrace. 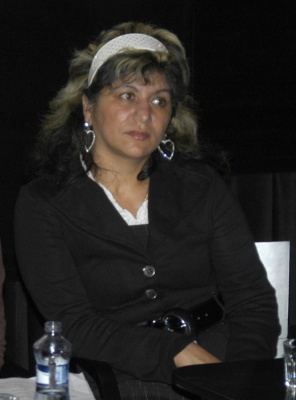 In 2005 Elena Gorolová joined the group Vzájemné soužití or Life Together, an Ostrava-based NGO, which demanded a public apology for the practice and compensation to the illegally sterilised Roma women. She eventually became the group’s spokeswoman and among other things, testified at a Council of Europe meeting in Strasbourg. In 2009 the government led by Jan Fišer officially apologised for the practice. Although several cases of forced sterilisation have since been tried at the courts, none of the victims have been compensated. “We haven’t received any compensation yet, but we have done a lot of work over the past years. At the beginning, most of the women wouldn’t even talk to anyone, but then they started testifying and even organised a demonstration outside the maternity hospital in Ostrava. Elena Gorolová, who is 49 today, currently works to return institutionalised children to their birth families and also fights against segregation of Roma women in maternity hospitals. Among other nominees included on the BBC list of 100 inspirational and influential women for 2018 are professional leaders as well as everyday heroes ranging from more than 60 countries, from the 16-year-old Azerbaijani student who founded a company that harvests energy from rainwater to a 90-year old Japanese pensioner who started learning English to help guide tourists who will visit Tokyo for the city’s 2020 Olympics.